coffee spoons: limited edition vegan glossybox! Guys! 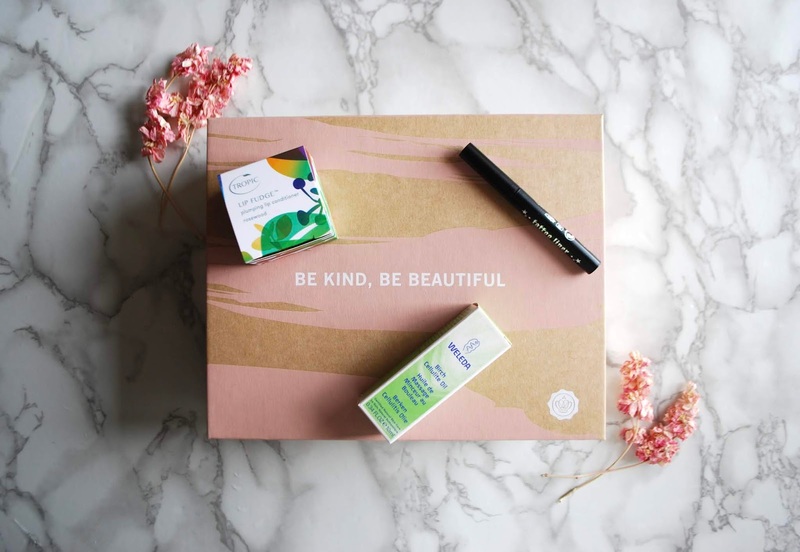 Glossybox are doing a special vegan edition! Have a read to see a sneak peak of some of my favourite products that are included! I have to admit--I didn't know Kat Von D was a vegan brand! You get the cutest mini of this super-hyped eyeliner. I've never tried this eyeliner, so I am super pumped to try it in mini form--which is also ideal for packing for summer weekend getaways! This tinted balm is gorgeous hydrating and gives such a plump, nourished look with the perfect amount of rosy colour. This is perfect for a subtle lip look or a no-makeup makeup day. This deliciously citrus-y smelling oil comes in the size of a deluxe sample, so it's also perfect for your summer beauty bag for any weekend trips. I haven't tried this oil before but Weleda is such a good brand and I sort of implicitly trust anything they make, you know? It feels super moisturising and I can't wait to slather it all over my legs! Again, this mini size is perfect for travel, and this shampoo is formulated with organic aloe and is totally sulfate-free. A perfect vegan offering for summer hair.